In this new series of Podcasts, Mad in Asia Pacific Team is reaching out to activists across different countries to highlight the state of rights in their countries, the challenges they are facing and the initiatives that they are taking to push for more inclusion in their communities. In the first episode of this series, Shreshtha from the Mad in Asia Pacific Team talks to Waqar Puri, an activist from Pakistan. Waqar works with the Special Talent Exchange Programme (STEP), a cross disability organization working for the rights of persons with disabilities in Pakistan since 1997. Waqar has also been an accessibility consultant with Global Alliance on Accessible Technologies and Environments (GAATES) and is a steering committee member of TCI Asia Pacific. 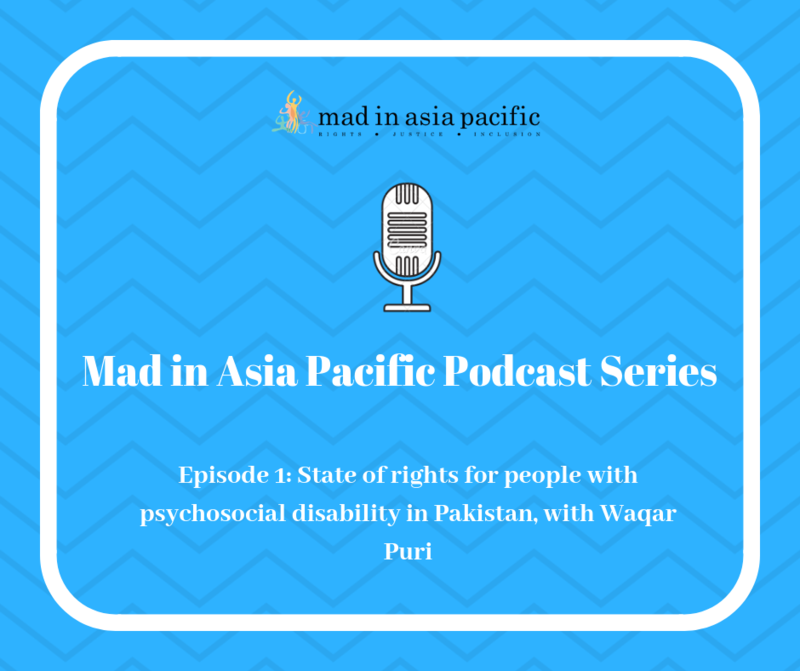 In this podcast, we discuss the overall socio-cultural situation of persons with psychosocial disabilities in Pakistan, legal interventions by the state through disability laws and its compliance with UNCRPD. Most importantly, we discuss the efforts that Waqar has been involved in to ensure a multi-modal approach to countering stigma and ensuring inclusion of persons with psychosocial disabilities. Listen on to know more about what is happening in Pakistan and for some inspiration on how a team of dedicated mental health activists are pushing back!